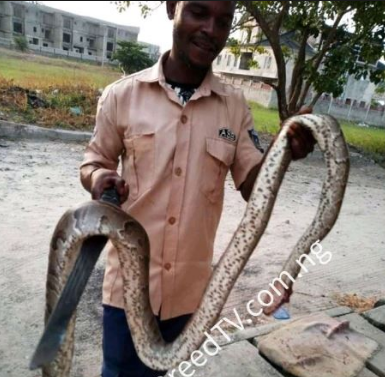 In a chat with PhCity BreedTV, he reviewed how the snake was killed under his bed. He severally heard a strange noise coming out from under his bed. So he decided to go check on what it is. Behold, he saw this huge snake. He raised alarm and neighbors invaded the room for help. Eventually, the snake was killed.